After writing about my favorite strange spots in Southern California, I realized that there are a lot of people that like exploring unique stuff like I do. 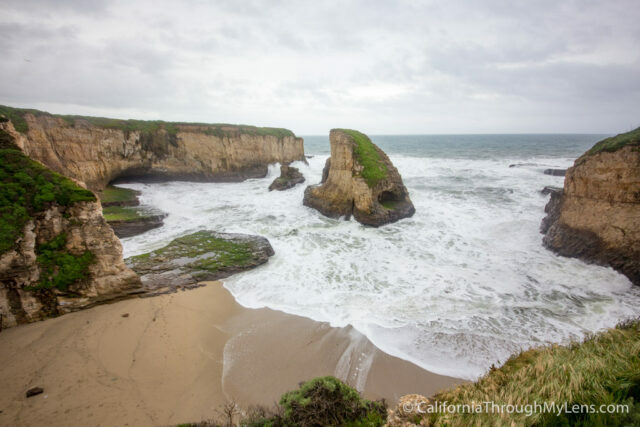 While I haven’t traveled to Northern California as much as I would like, I do have a lot of recommendations, and this post will continue to grow and expand as I find new places to visit. Be sure to leave a comment in the post below if you have a recommendation for me, and don’t hesitate to dive into all the awesome places below (counties listed in alphabetical order, click the photo to read the post about the location). Last updated in August 2018. 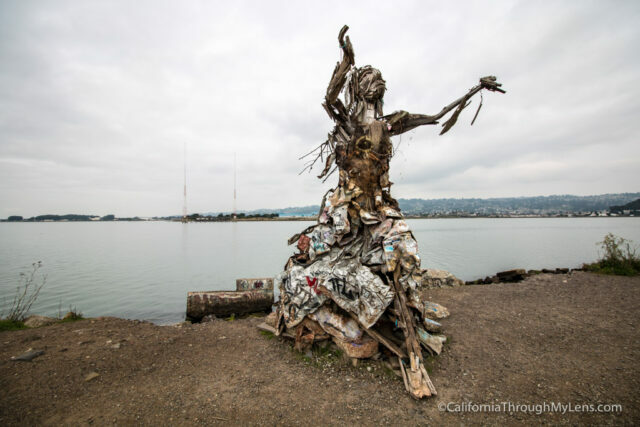 Albany Bulb sits on the east side of the San Francisco Bay, and this former landfill has now become a city park that many artists have decided to turn into a palette. You never really know what you will see when you go there, but it is always different than what you would expect. 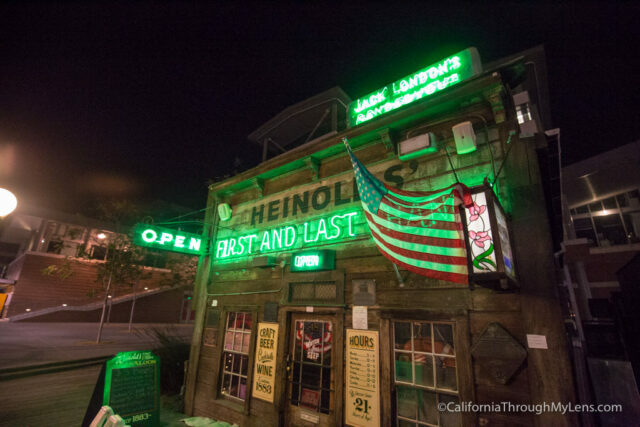 Heinold’s is a famous bar in Jack London’s Square with over a century of history. This small one-room spot was even an inspiration for some of Jack London’s stories as he was known to frequent the place as he was growing up. 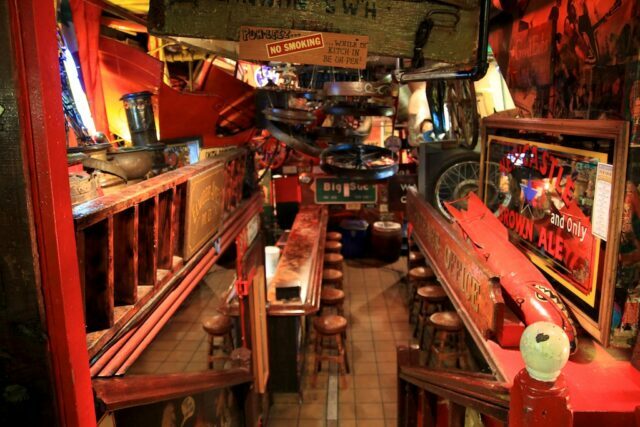 It’s an excellent spot for a drink in downtown Oakland. A beautiful cavern that you can go down into and explore. You can only see it by taking one of the tours, but it is so amazing with massive rooms and rock formations that it is worth taking the trip to see it. This park is exactly as the name implies; it is a MASSIVE rock that was used by the Indians that lived in the area to grind their food on. I have honestly never seen a rock in the ground like this and of this size, definitely worth checking out. 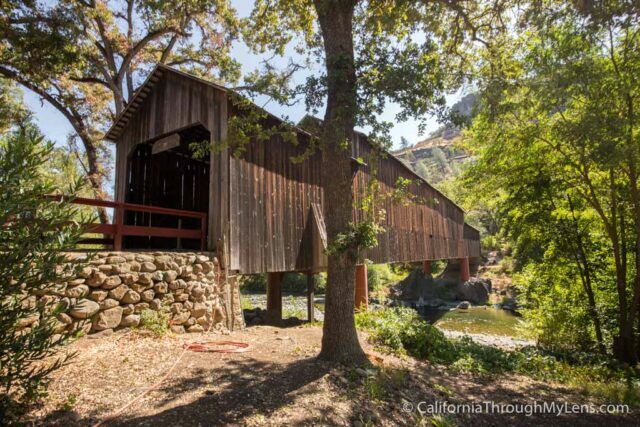 This covered bridge outside of Chico is one of the most unique bridges in the entire state. Be sure to add it to your list, especially if you are a photographer. 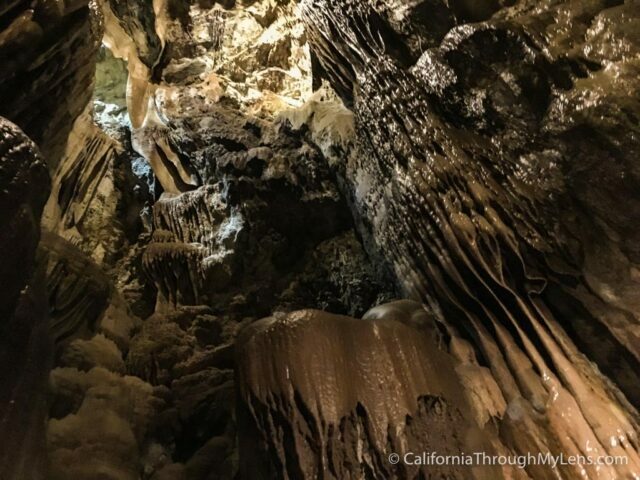 A cave the size of the Statue of Liberty that you can repel into, Moaning Cavern is a spot that should be on every adventurer’s list. 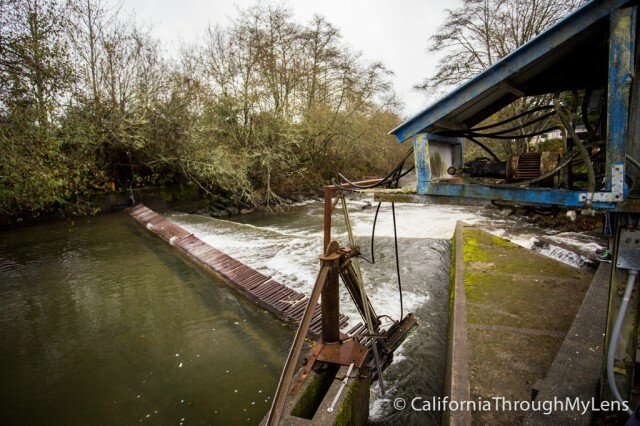 Located only 15 minutes from the Oregon / California border is a fish hatchery that is open to the public where you can observe the life cycle of fish. They even have tours during the day where you can listen to them talk about why a hatchery is needed and show you how the process works. 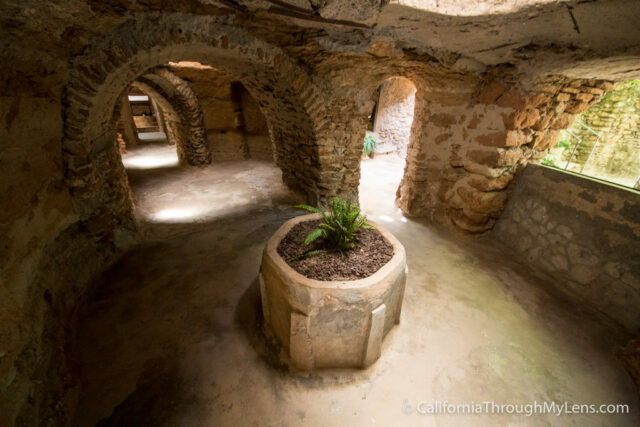 This fantastic spot in Fresno allows you to tour a historical set of underground caves created by one man in the early 1900’s as a way to escape the Fresno heat. At the North end of the Avenue of the Giants sits the Eternal Treehouse. While there is not much to do here, it is still an impressive treehouse made at the bottom of a massive redwood. You can walk inside and even sign the guest book. 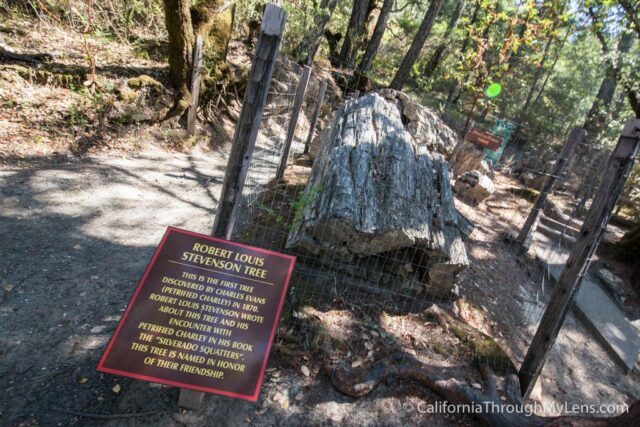 The most popular of the three drive-thru trees, this tree in Leggett, CA has been attracting visitors for decades. 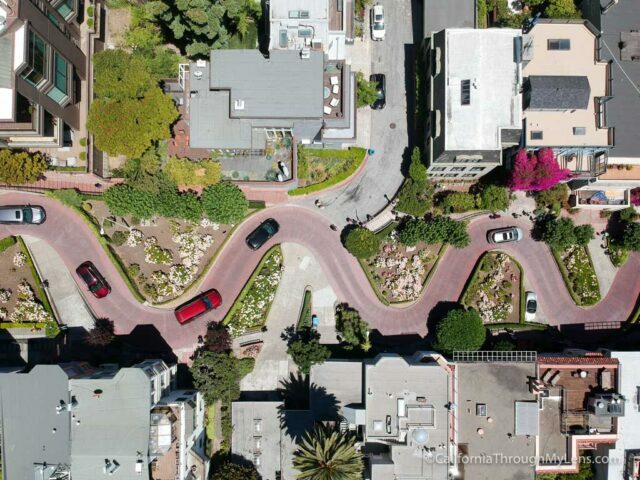 You will probably wait in line to drive through it, but it is worth it. 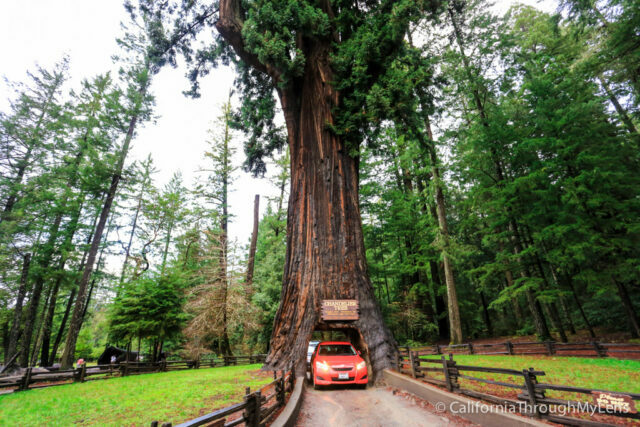 Redefining what a roadside attraction should be, the massive Trees of Mystery should be a stop on everyone’s list. 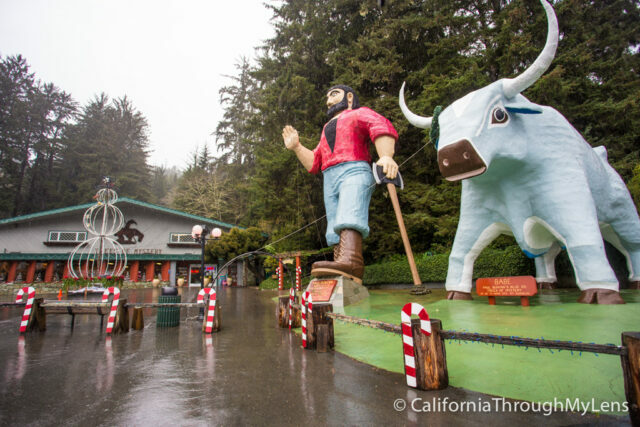 As soon as you see the 60 foot tall Paul Bunyan and his Ox, pull off and explore all of the crazy trees they have in the park and take the sky tram up above the trees for a spectacular view. 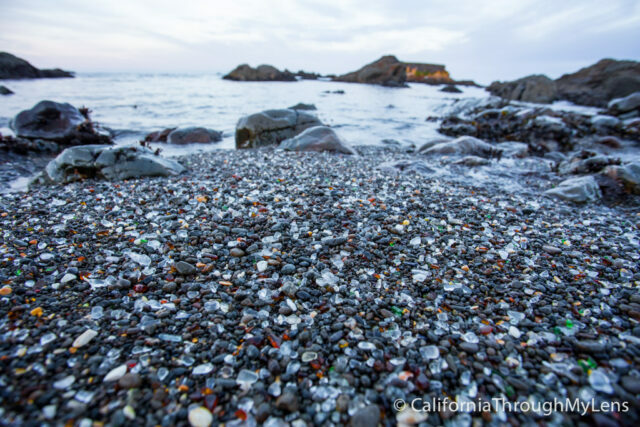 An infamous spot on the California Coast, Glass Beach has been attracting visitors for years. The beach is full of tiny glass pebbles that washed up after the city threw its trash into the ocean decades ago. It is a unique stop. 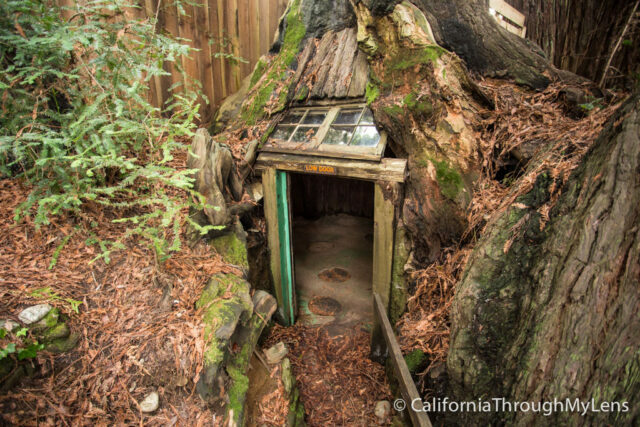 The pygmy forest near Mendocino is home to tons of minuscule 100-year-old trees. Due to science that I do not fully understand the trees are not able to fully develop. 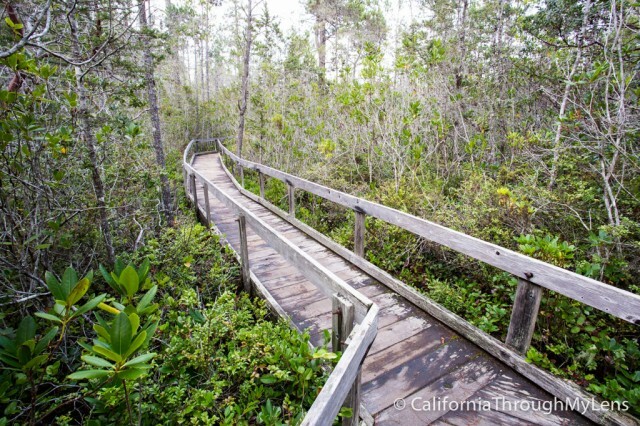 It has an impressive walkway that takes you through the trees to explore the area. 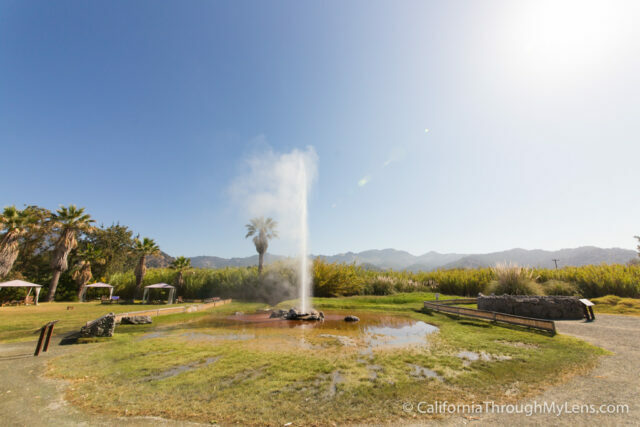 In the city of Calistoga sits this unique old geyser that still erupts every hour for 4 to 8 minutes. It is a super fun place to visit for the whole family and is known as the Old Faithful of California. Only about 10 minutes from the Old Faithful Geyser sits this collection of some of the best-petrified trees in the entire United States. There is a half-mile loop trail that you can take which allows you to see a whole bunch of them. 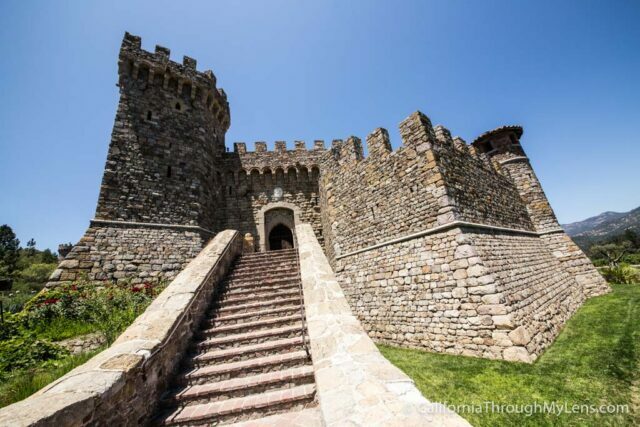 If trees and geysers are not your thing, then be sure to check out the castle winery called Castello di Amorosa, which is a fantastic spot to spend a half day exploring. 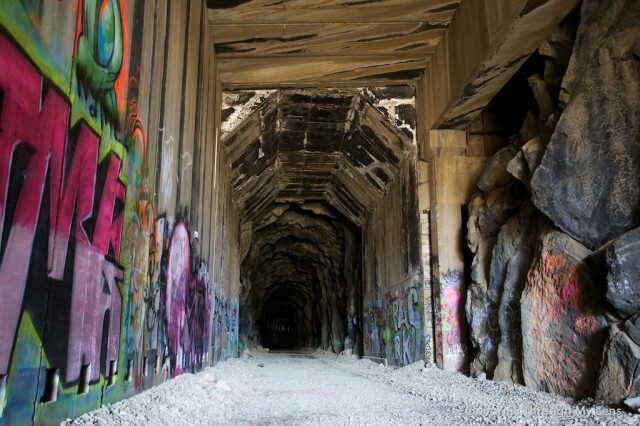 Located near the top of the Donner Summit Pass, the old abandoned railroad tunnels are a spooky but unique place for a hike. I walked through them for a mile or so but wish I would have had time to see more. 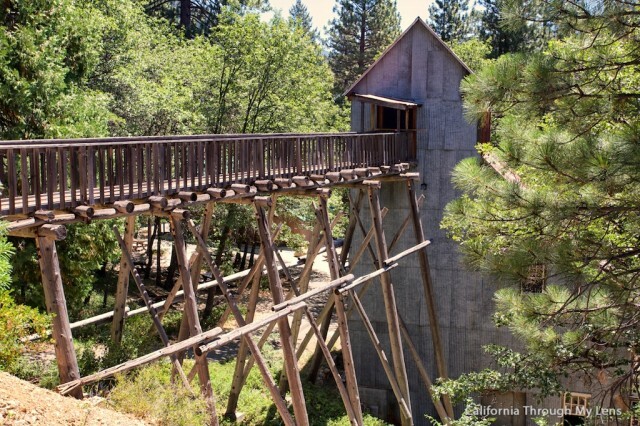 This museum is one of the best-maintained gold mines in all of California. It is four stories tall, and the belt-based system is still functional to this day. They also have a ton of bats that live in the stamp mill, and if you are lucky, you can see those as well. As one of my favorite hikes in the entire state, this is a must do for the adventure seekers. 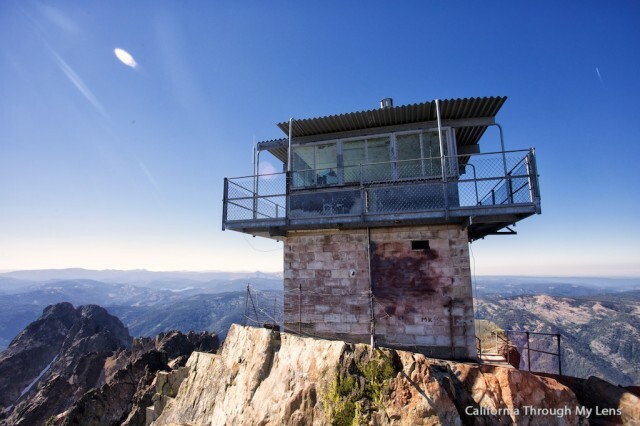 Let me warn you though, it is pretty crazy when you get to the top of this old fire lookout and have to climb a series of staircases with significant drop-offs on either side. 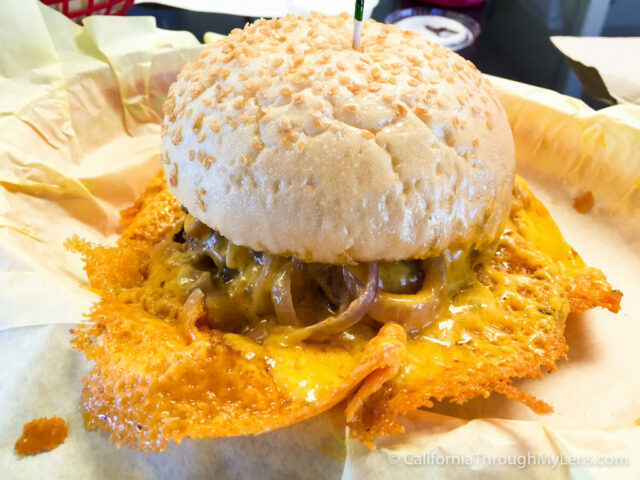 This burger joint has been making burgers for over a decade with a cheese skirt. The cheese is piled on then ice is used to keep it from burning, creating a crazy and unique burger. 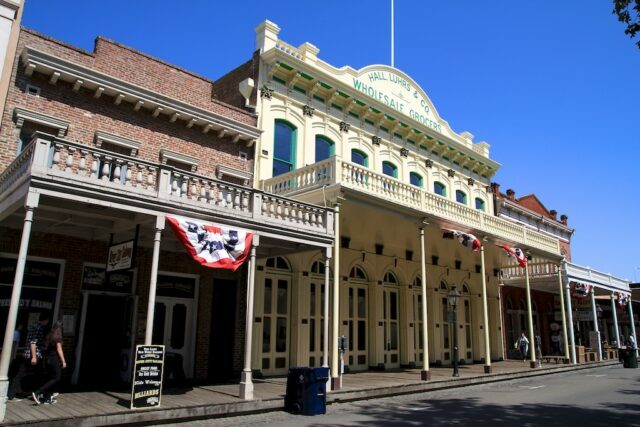 Located in Old Town Sacramento this fun restaurant is an overload of your senses. 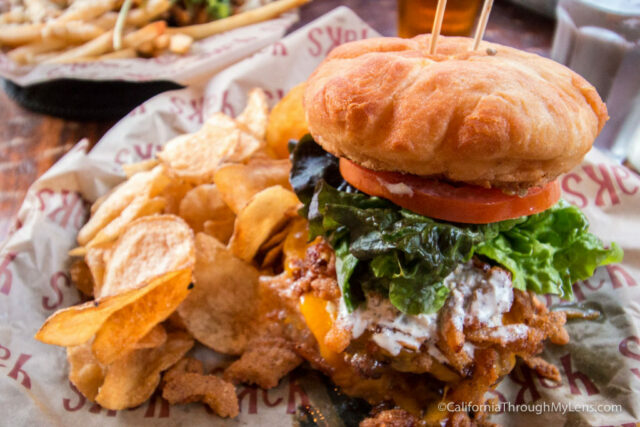 It is full of artifacts and history from the state capitol and has a selection of crazy types of hamburgers that you can partake in. 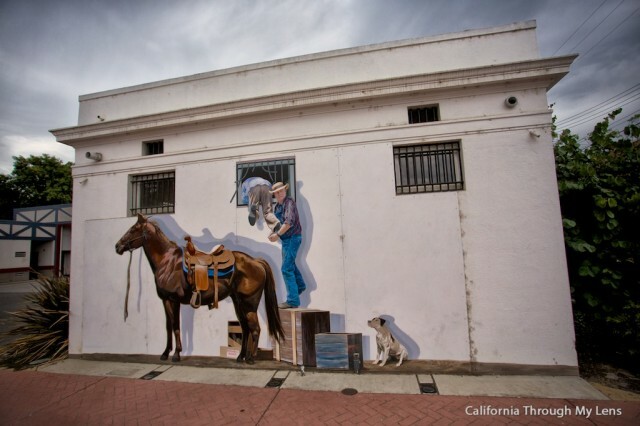 Old Town itself is a fun place to explore in Sacramento. The city streets are designed to look like the historic days of California, and they are full of shops, food spots, and museum. You can easily spend a half day exploring here. An underpass explicitly designed for frogs, allowing them to make a safe crossing at a major street. 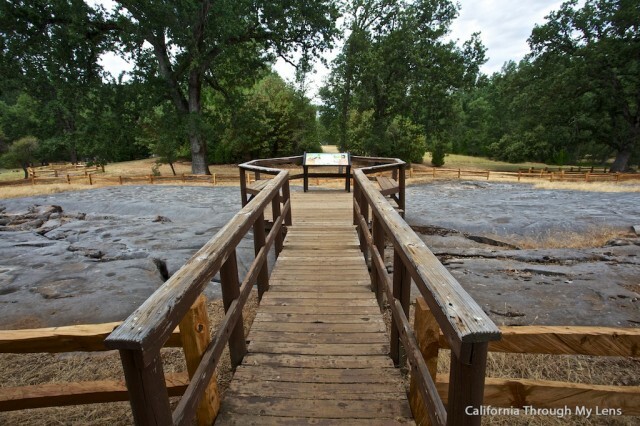 A well built historic fort right in the middle of bustling Sacramento, Sutter’s Fort is a stop that will help you learn about California’s past. 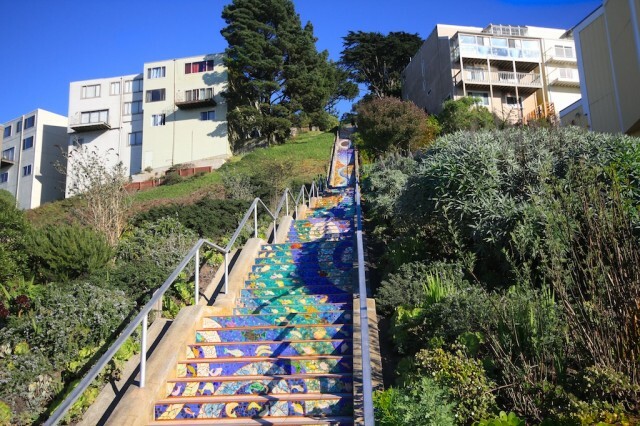 The mosaic steps in San Francisco are one of those places everyone has seen in an online photo, but few know where they actually are. When you see them for the first time, you will be blown away by how beautiful and artistic this small community project ended up turning out. Lucasfilm, the makers of Star Wars, has their corporate offices in San Francisco. 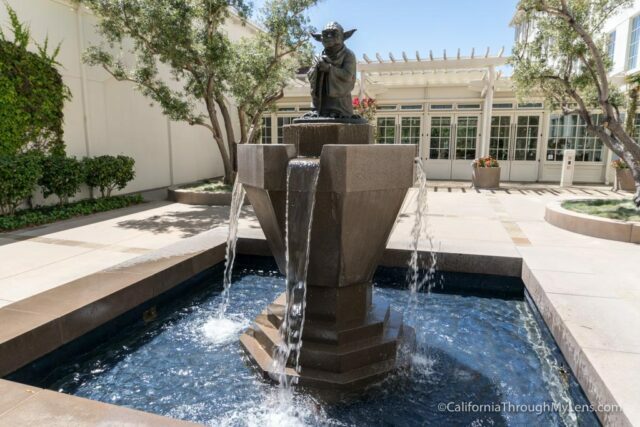 You can visit the lobby and see memorabilia as well as pay homage to the bronze Yoda fountain that sits in front. 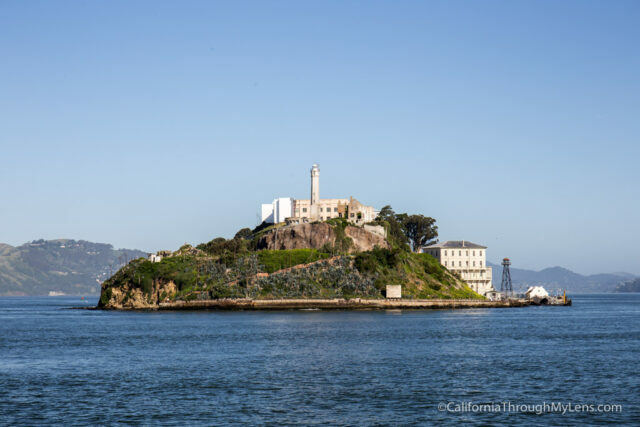 I am sure you have seen this famous San Francisco attraction on TV or in a movie, but it is still fun to visit in real life. 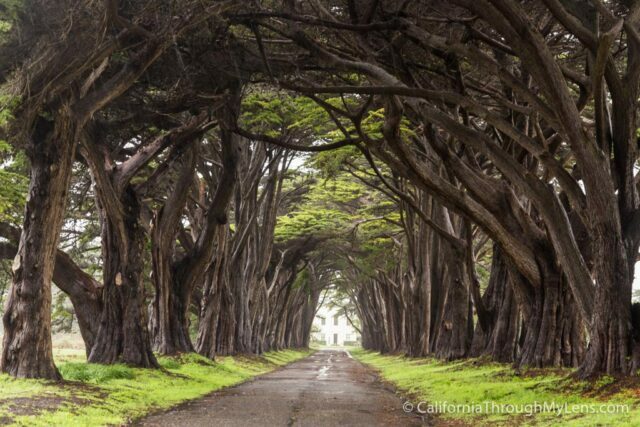 One of the most beautiful spots in the entire county for photos, the Cypress Tree Tunnel in Point Reyes National Seashore is a must visit. 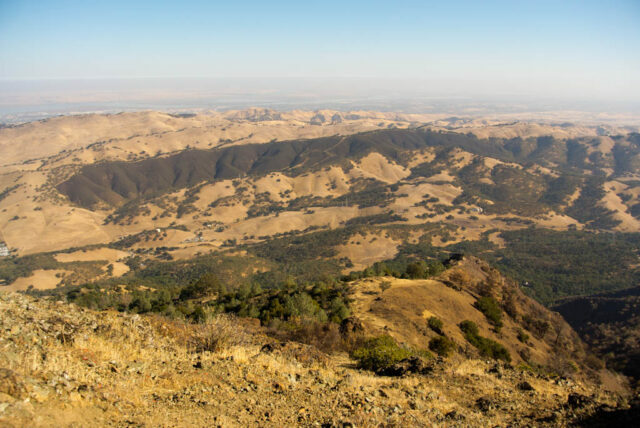 Mt Diablo is known as one of the best places in the United States for views. On clear days, it seems like you can see forever. This mountain is accessible via a road you can drive all the way up, or you can hike one of the trails if you so desire. 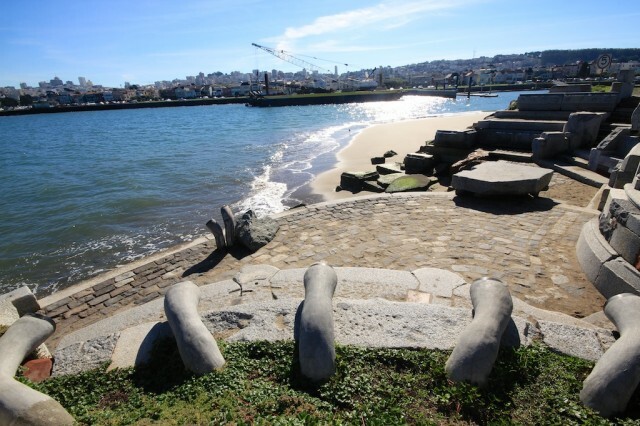 The wave organ is a unique art installation in San Francisco. It is said that when the waves crash into it, you can hear different sounds like an organ. When I have been there, I have never heard anything, but it is a fun spot and has great views of the Golden Gate Bridge. 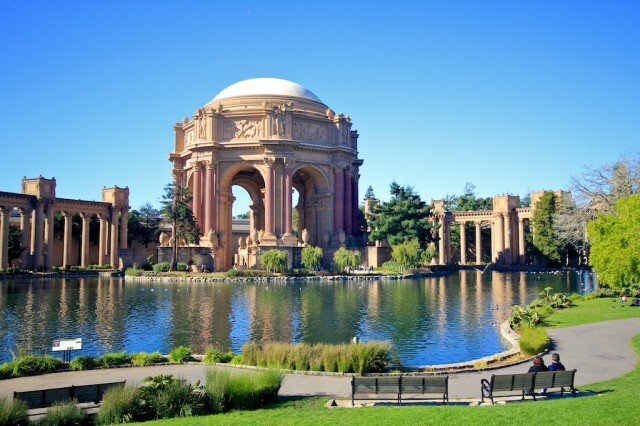 Another place where you will have a hard time believing that it is in San Francisco, the Palace of Fine Arts is a stunning spot. I love just strolling through the park and walking under the central dome. It is like seeing Europe in the USA. 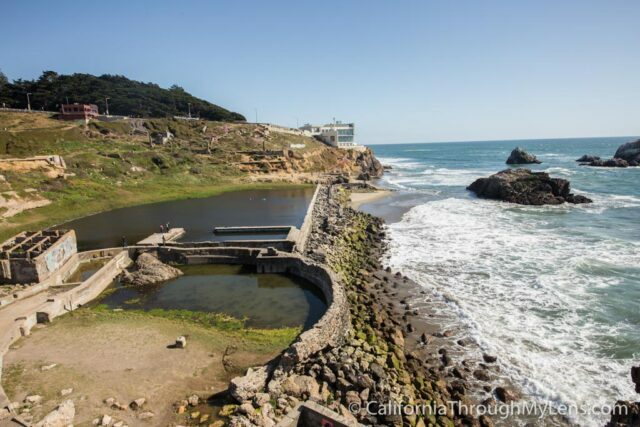 These historic swimming pools were once a huge attraction in San Francisco. All that is left now is the rubble, but it is an excellent spot to explore and to watch the sunset at. 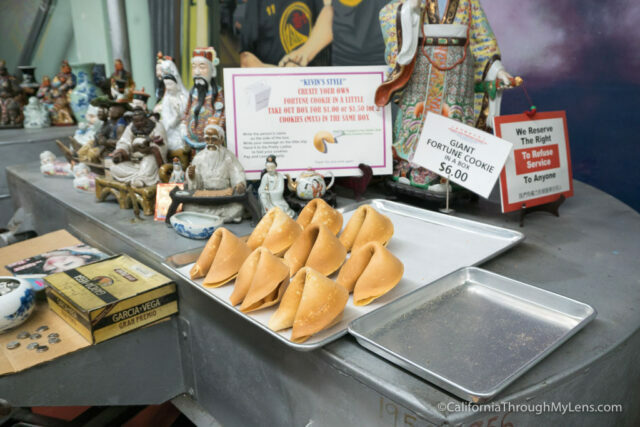 When visiting San Francisco’s Chinatown, be sure to walk down the alley and see the Golden Gate Fortune Cookie Factory. Here you can add your own fortune to a cookie or even buy a jumbo one. 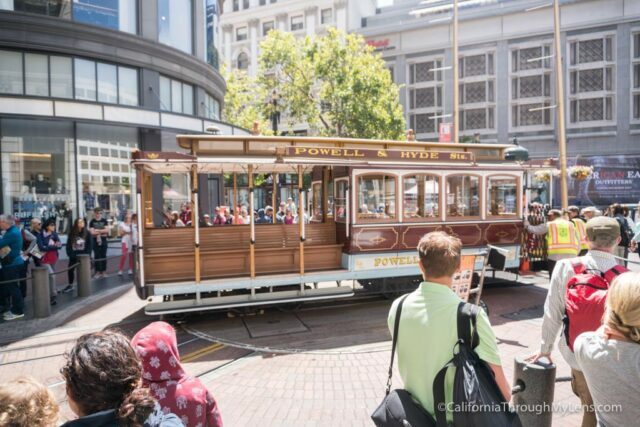 No trip to San Francisco is complete without riding on its historic cable cars. I recommend trying to get a spot where you can hang off the side as that is the most fun. 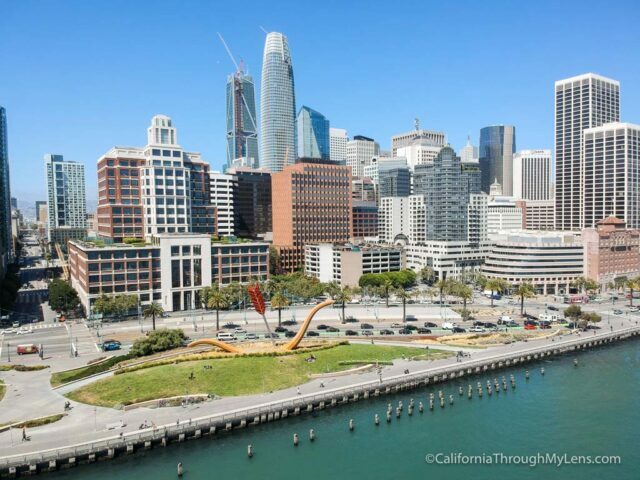 Home to the famous bow and arrow art piece known as Cupid’s Span, Rincon Park is a quick stop in San Francisco with a great view of the Bay Bridge as well. I am sure you have heard of this historic jail before; but if you haven’t visited it yourself then you really need to, it’s awesome. 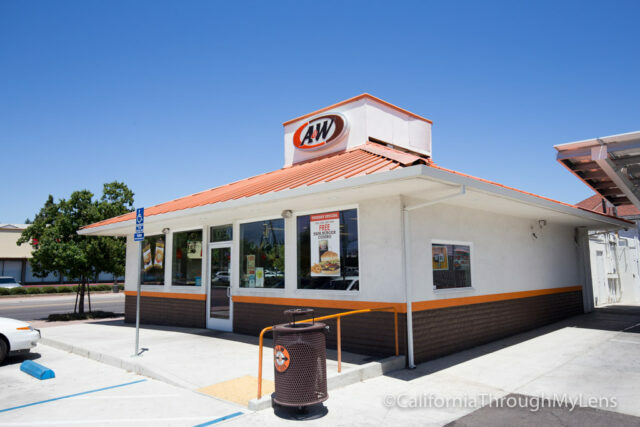 Explore the birthplace of this famous fast food establishment in the city of Lodi. 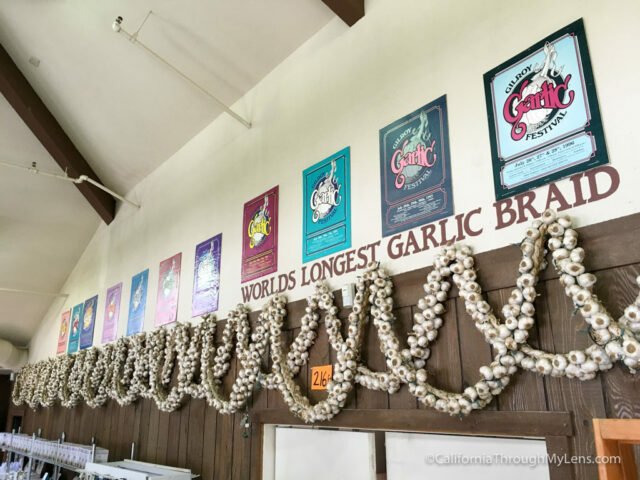 I am sure you know that Gilroy is pretty much the garlic capital of the world, but if you are stopping by during a time when the festival isn’t going, check out Garlic World. They have garlic chocolate chip cookies and ice cream as well as the world’s longest garlic braid. 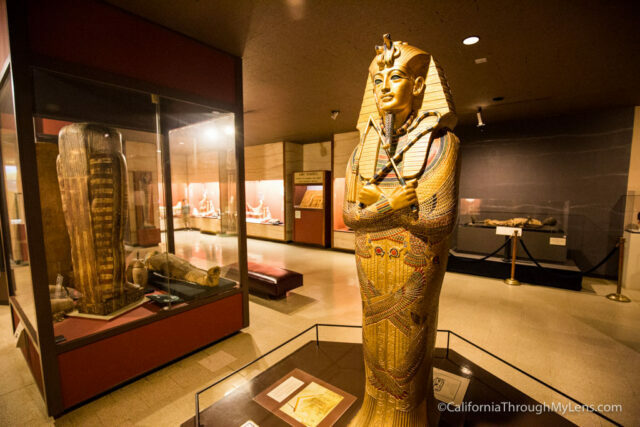 Regardless of how you feel about Egyptian history, this is one of those museums that I highly recommend you visit. I had a blast here and learned a lot. They even have a full tomb you can walk into and explore. 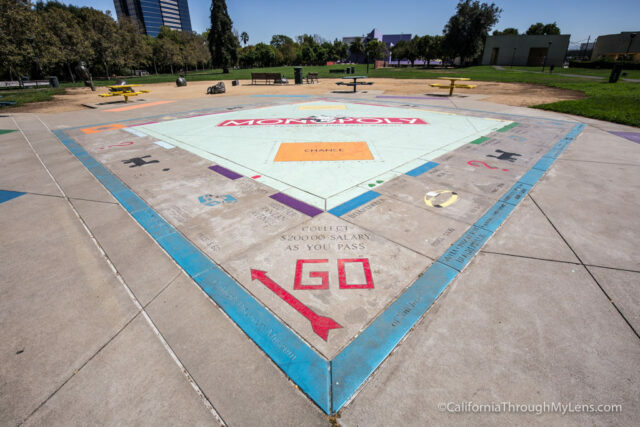 If you have ever wanted to play human-sized Monopoly, then you can totally do that in this park in San Jose. You can visit without playing, but to play you have to get an appointment weeks in advance to have someone bring the pieces and facilitate the game. 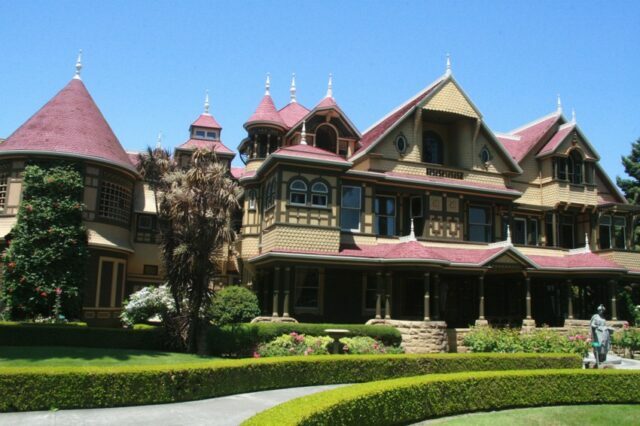 I visited here a long time ago, but the tour of this crazy eclectic house is something that everyone needs to go on at least once. The house is so big and convoluted that you walk a full mile while on tour. 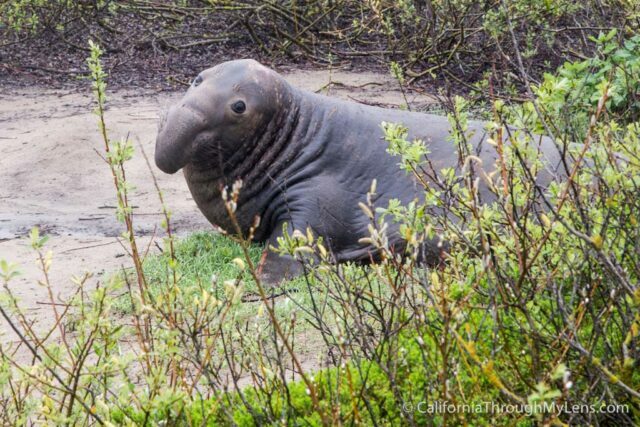 A park where you can hike and get up close to elephant seals in their natural habitat. 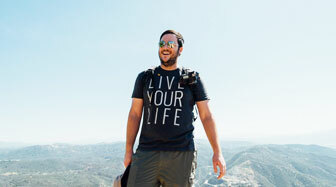 It is a lot of fun and provides many hiking trails to explore. 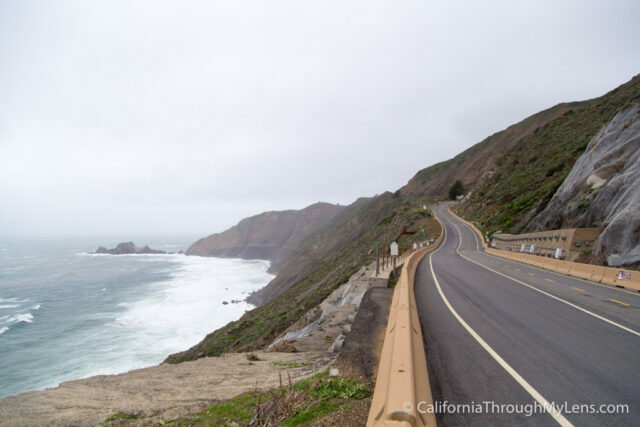 This old section of Pacific Coast Highway was closed to drivers but open to hikers and bikers. It is an excellent spot for an enjoyable hike along the old road. 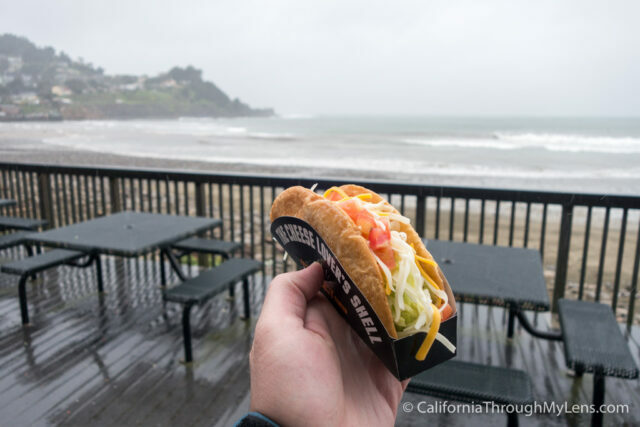 Not much to say about this spot other than that it is a Taco Bell that is pretty much right on the sand in the city of Pacifica. If you want a cheap taco and a view it is hard to beat. This awesome beach has a massive rock out in the water that looks like a big shark fin. It is one of my favorite places to explore in the are and a great stop on any road trip. 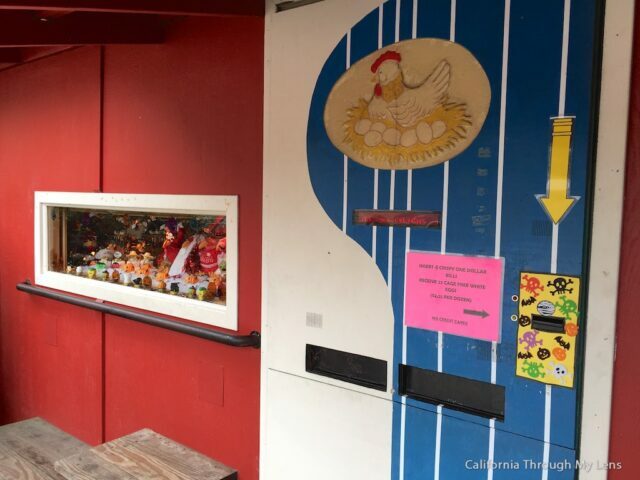 In the city of Aptos near Santa Cruz sits a vending machine that sells eggs. Yes, a vending machine. It is attached to an egg farm, and when you buy your eggs a curtain rises, and you get to see a fun musical show. In the hills overlooking Santa Cruz, you can talk to some people who are 100% sure Bigfoot exists. 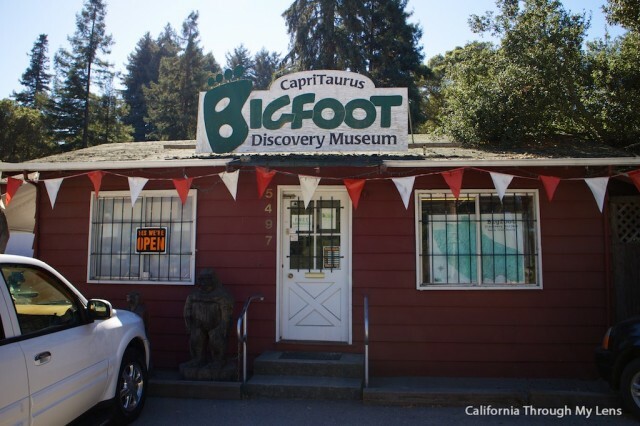 This small two-room museum is home to a ton of information on Bigfoot as well as souvenirs and maps of where he has been seen. 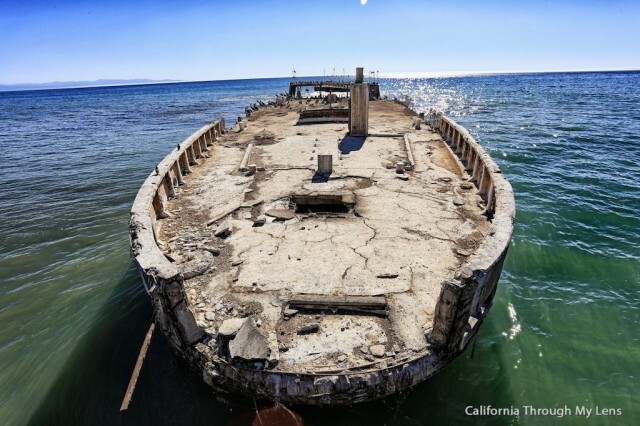 At the end of the pier in Aptos is a massive sunken cement ship from the WWII era. It is a fantastic place to take photographs and a unique site to see. It is located in Seacliff State Beach. 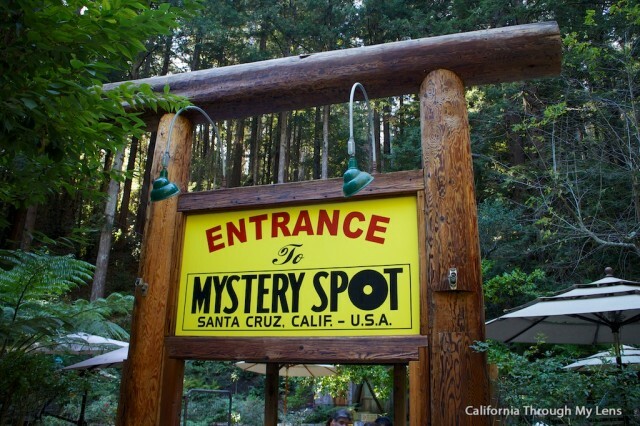 One of Santa Cruz’s most famous attractions, the Mystery Spot is a place you need to experience on your own. I could tell you about it but it wouldn’t really make sense, so if you are interested then just go see it. 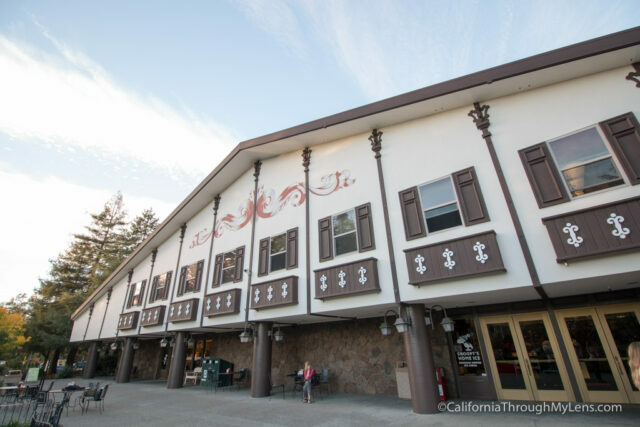 No trip to Santa Cruz would be complete without a ride on one of California’s oldest roller coasters. It is located right on the Santa Cruz boardwalk. 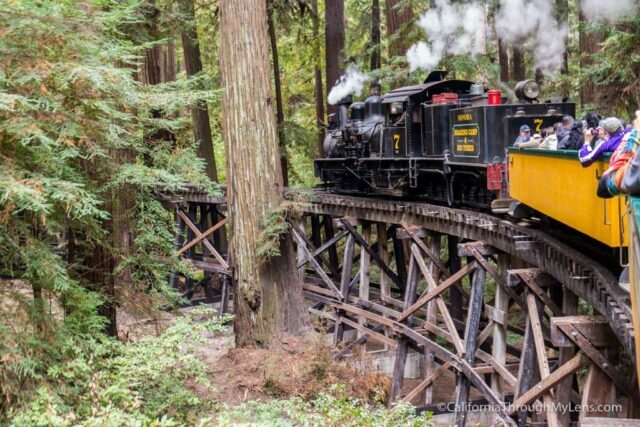 Roaring Camp Railroad is a super fun adventure in the Santa Cruz area, where you can ride behind an old steam engine as you go through a grove of massive redwoods. It is a little pricey for a whole family, but you can’t really do this anywhere else. As one of the tallest old covered bridges in the entire United States, the Felton Covered Bridge is easily worth a stop. The bridge has fallen into disrepair over the years, but you can still walk through it and explore it. 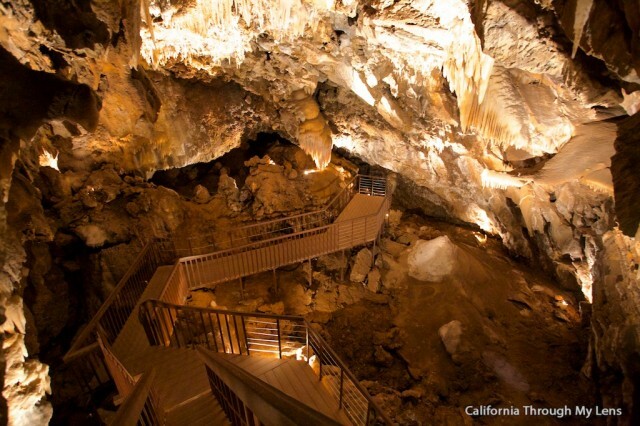 One of the best show caves I have ever been to in California, Shasta Caverns is a must visit on any trip up Highway 5. You have to take a boat across the lake and shuttle up to the cave entrance, but it is an entertaining adventure for the whole family. 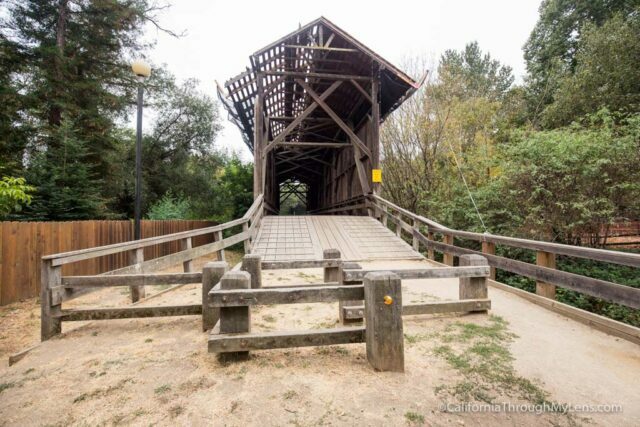 Located in Redding, this famous bridge is both loved and hated. Regardless it is a beautiful bridge and a great place to explore. I for one like that it is so unique. 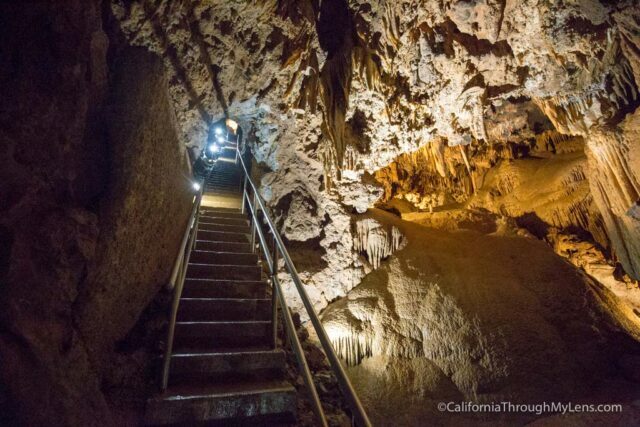 One of the most impressive caves in California, Skull Cave is a must visit in Lava Beds National Monument. 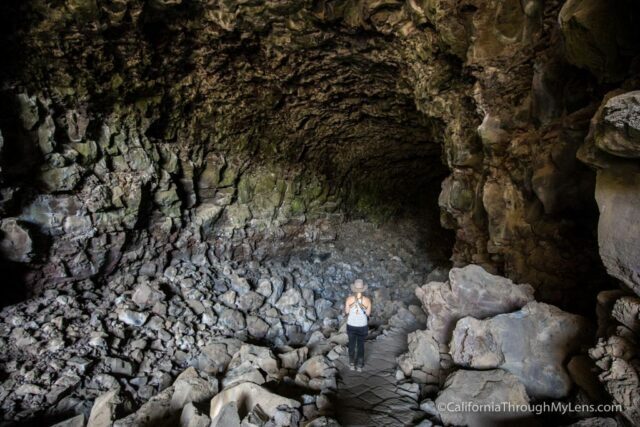 You can read about all the best spots in the Lava Tube National Monument here. 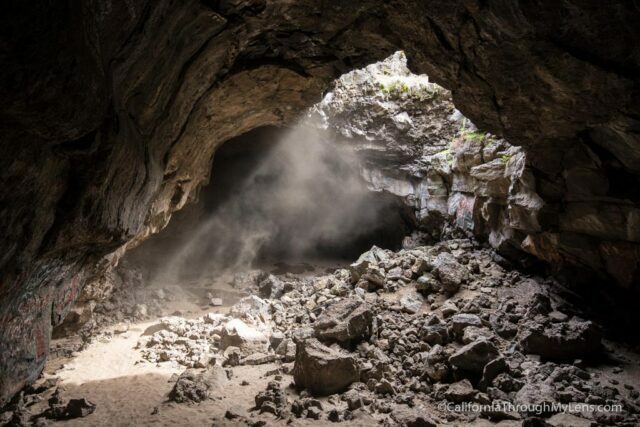 Pluto’s Cave is located outside of the town of Weed, and it is a great place to go caving if you can’t make it to Lava Beds National Monument. Voted one of the best restaurants in the United States by Yelp, this small roadside diner has some killer burgers and cinnamon rolls. 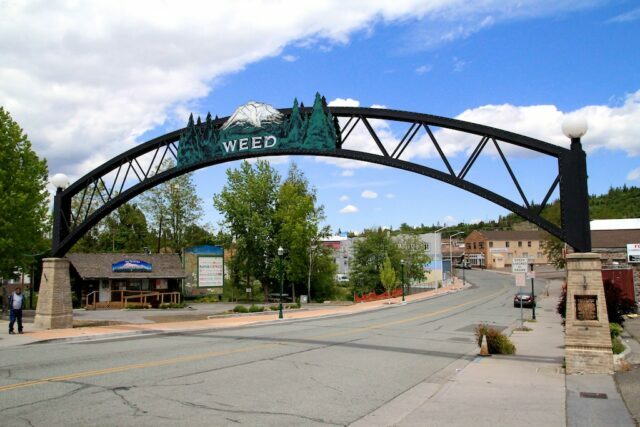 The small town of Weed is home to an amusing gift shop. You can tell that a lot of college students come up here just for a new Facebook photo, but some of the stuff they had there made me laugh as well. It is right on Highway 5 and is an easy stop. 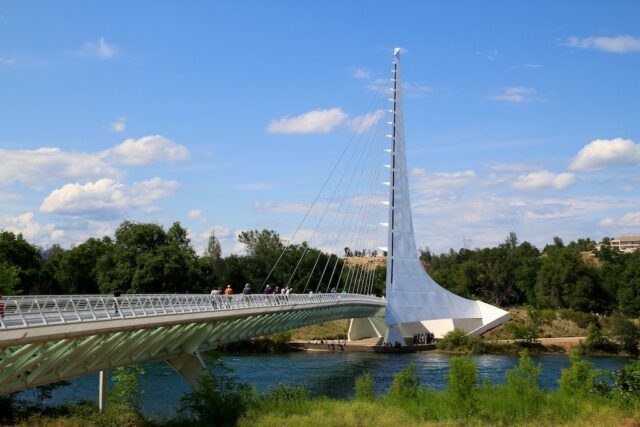 The Sacramento River is an incredibly important waterway for the state of California and a massive river that runs through much of the north part of the state. 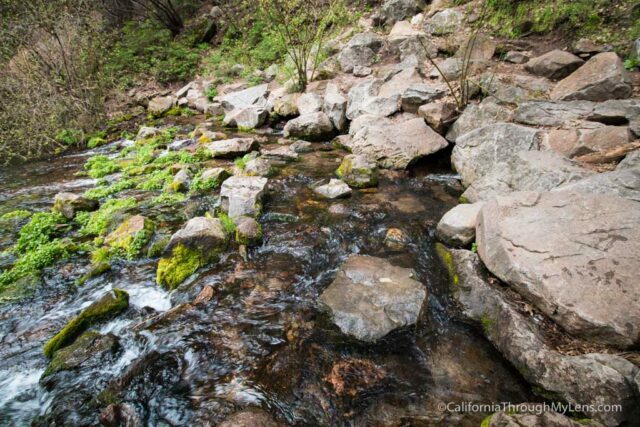 You can visit the simple headwaters in Mt Shasta city, and many people believe it even has healing properties. 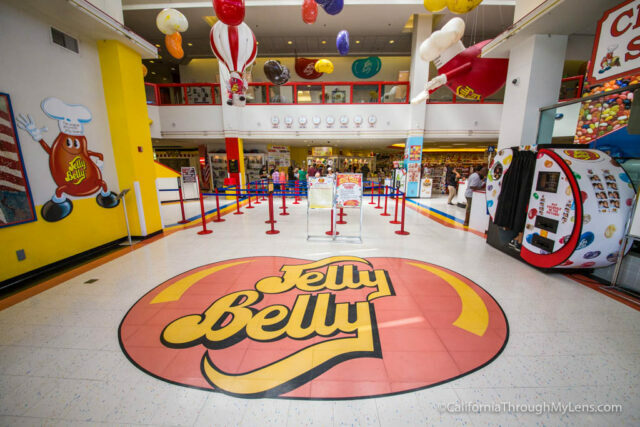 The Jelly Bean Factory in Fairfield is a fantastic spot for the whole family. You can just stop by and sample some of the most popular flavors, or you can take a tour and see how the famous candies are made. Either way, it is worth a stop. 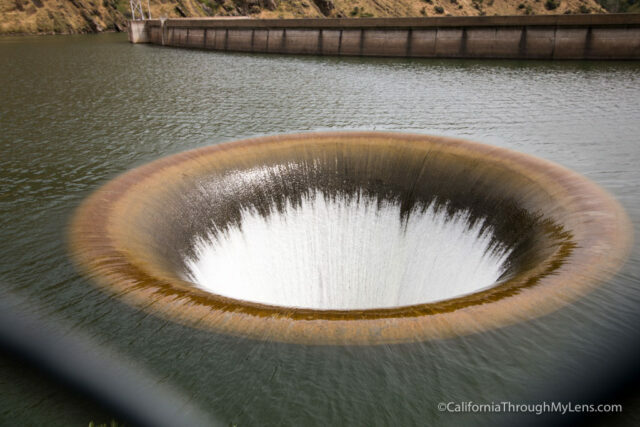 While it doesn’t overflow very often, the Lake Berryessa Glory Hole is a fantastic site to see when it does. This drain system keeps the water from overflowing the dam and does it spectacularly. 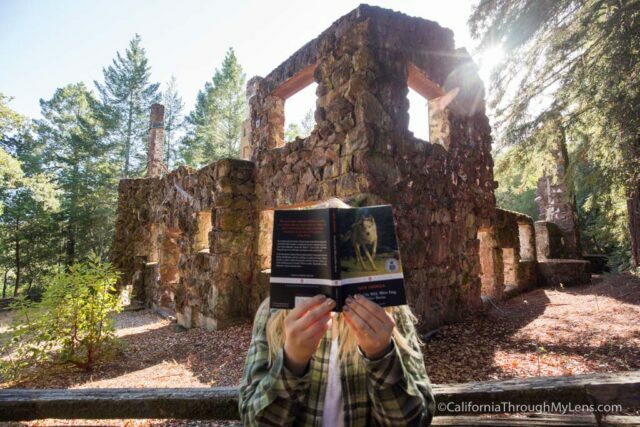 In the heart of Sonoma Valley, Jack London State Park is a great stop to explore the ruins of the house that burned before he was able to finish it and just to walk in the footsteps of this famous author. 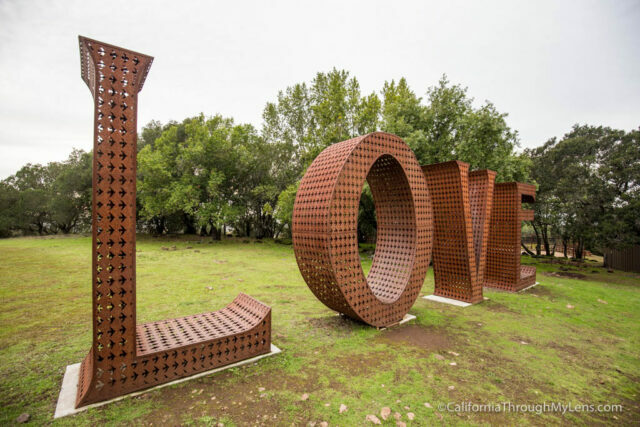 Paradise Ridge Winery in Santa Rosa has a large collection of sculptures, many of which were taken from Burning Man and moved to this location. It is a great spot to have some wine and just to walk around and explore the property. 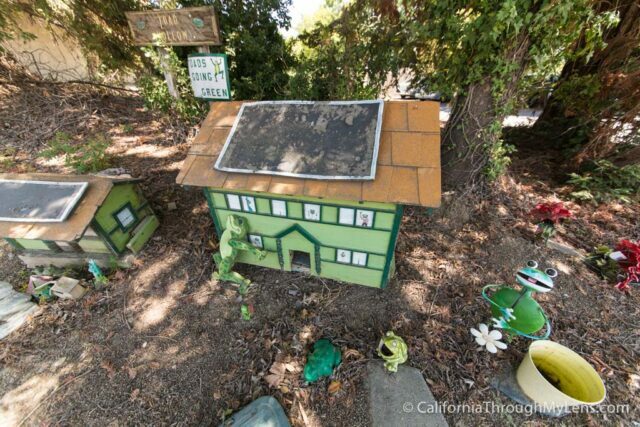 Santa Rosa is the home of Peanuts, and you can read about that here. If you just want one quick stop though, check out Snoopy’s Home Ice, which is the ice rink that Charles Schulz made for the community and which is still a famous ice rink to this day. 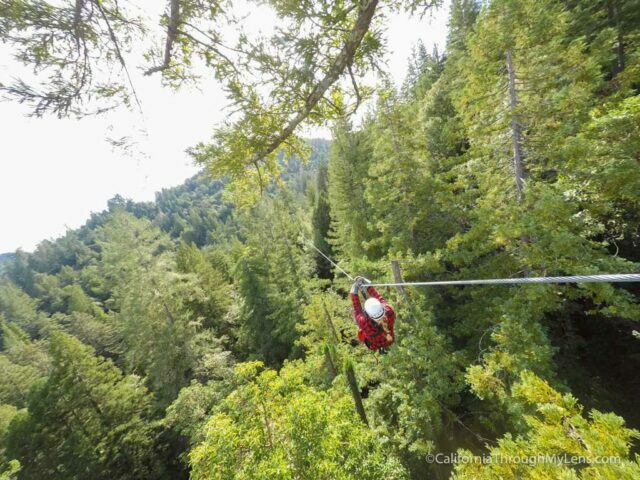 Ziplining courses are fun by themselves, but being able to do it in the view of California’s massive redwood trees is an entirely unique experience. There are multiple courses for all levels here, and the experience is pretty great. 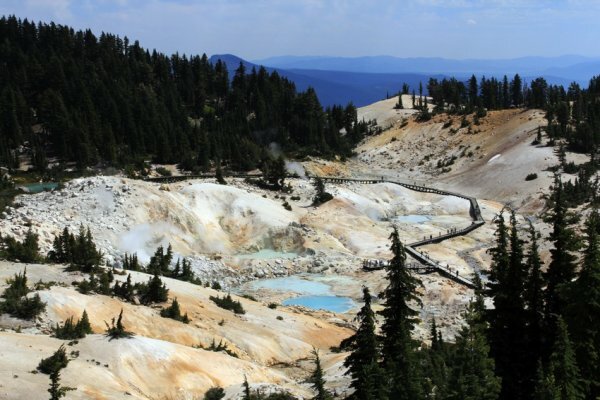 The geothermal pits in Lassen National Park are a total trip. They stink, are strangely colored and are hot. It is like what you would see in Yellowstone, only in California. It is a place you need to have on your list. 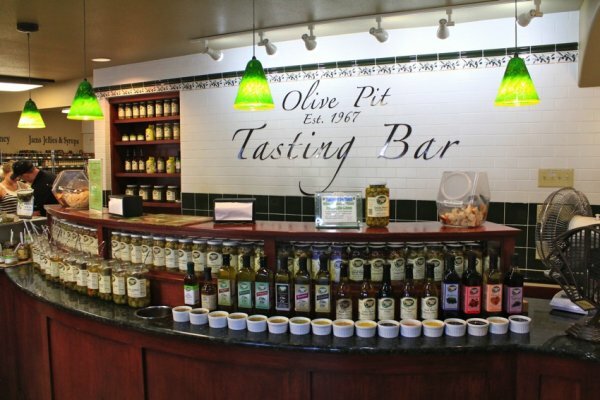 The Olive Pit is on here since I just always love stopping at it while I am driving in Northern California. It usually has 20 different samples of olives and another 20 samples of olive oils. It is a fun spot to go hungry too. 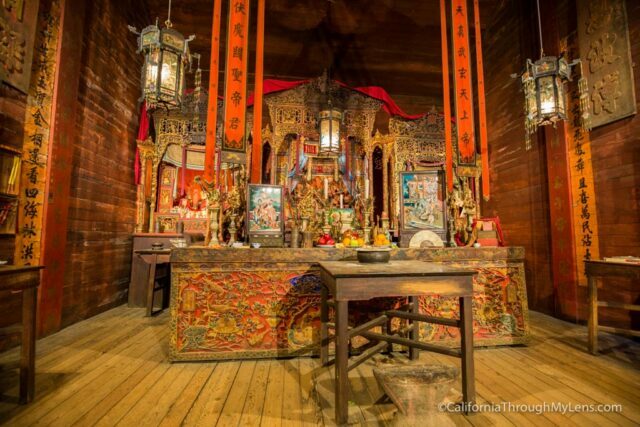 Joss House is one of the most unique state parks in the California state park system. It is a Taoist Temple from the 1850’s, and you want to make sure if you visit it that you do it when there is a tour available. The one-room temple is a very impressive site to see, but the location itself is pretty out of the way. My go to stop while driving on Highway 99 is Bravo Farms. 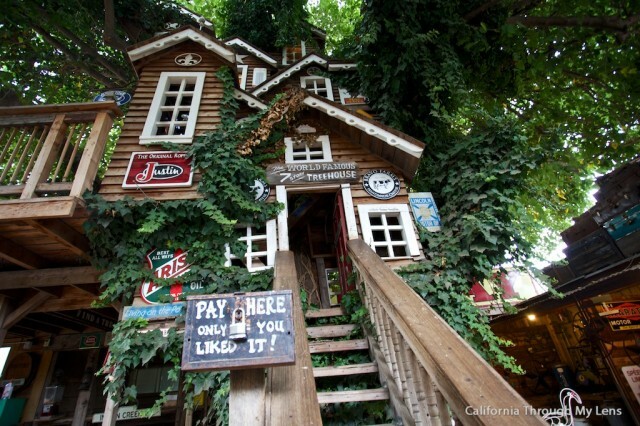 This magical roadside attraction has everything from shopping and restaurants to a full seven-story tall tree house that you can explore. There are even animals to feed out back if your children want to do that. I can easily spend an hour just looking at all the crazy stuff they have here. 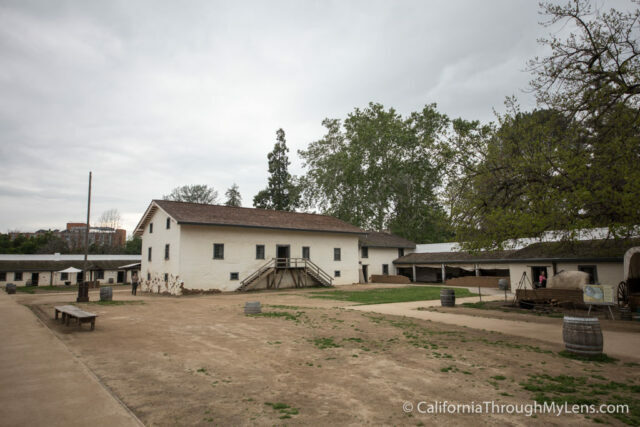 This historic jail located right off Highway 99 is a fun little stop. The jail itself is only a few rooms, and it sits under a massive Swedish Coffee Pot Water Tower. Yes, another thing you need to see to believe. 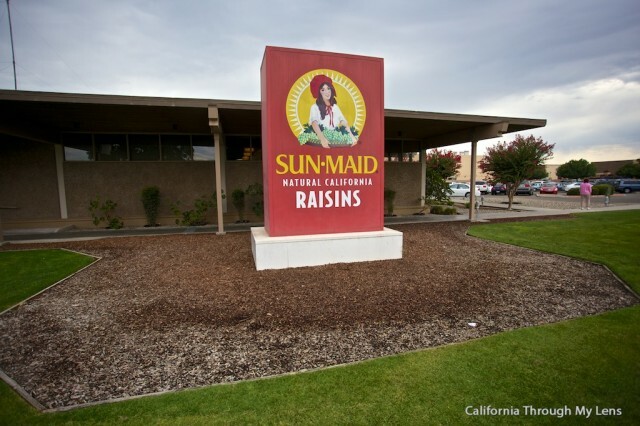 The Sun-Maid Raisin store, which is located adjacent to the distribution center, holds the world’s largest raisin box on its hallowed grounds. The store also has a ton of samples that you can partake in as well and is a fun stop for a few photos. So there you have it, my list of strange and fun places in Northern California. This list will continue to expand as I explore more, and I would love to hear what you think I left off in the comments. 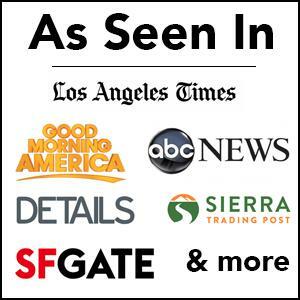 Also, read all about my Southern California spots here.